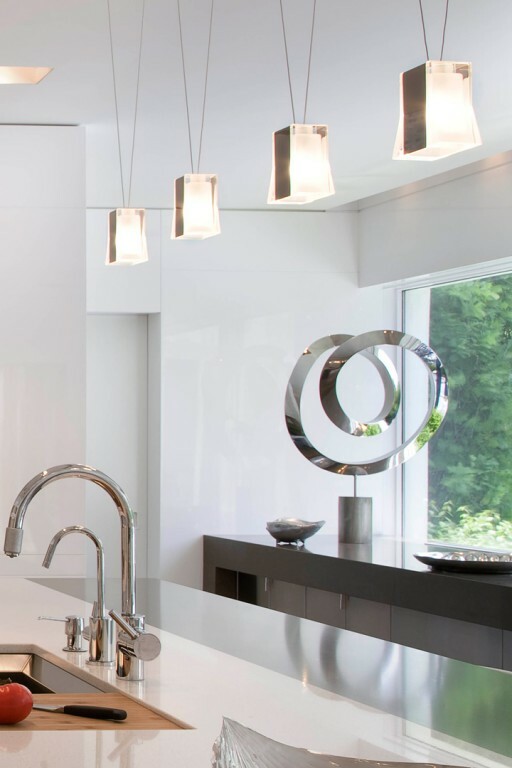 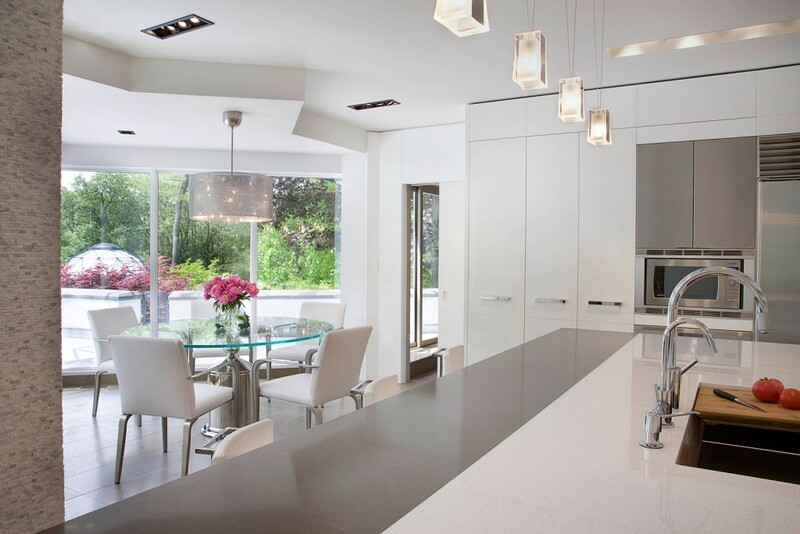 Modern Kitchen | Portfolio Projects | Fleur-de-lis Interior Design Inc.
White lacquer custom cabinetry and state of the art appliances are seamlessly integrated in this ultra modern kitchen to allow the clean lines of the white and gray palette to become focal. 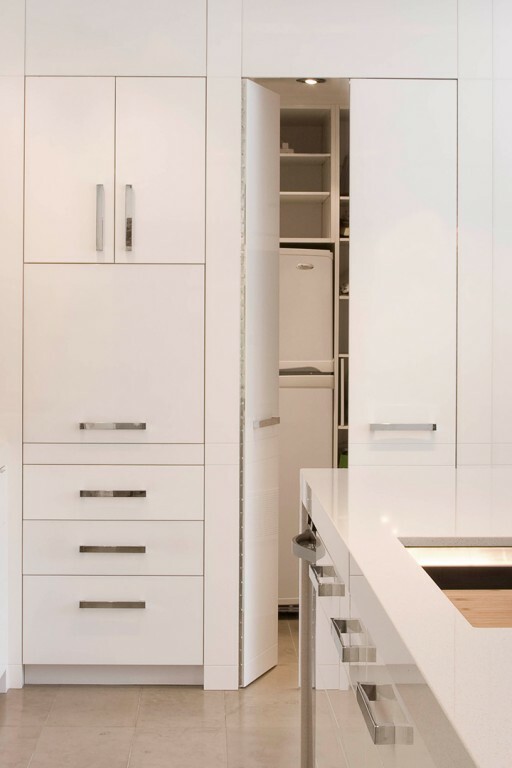 Walk-in pantry is invisible behind full height doors. 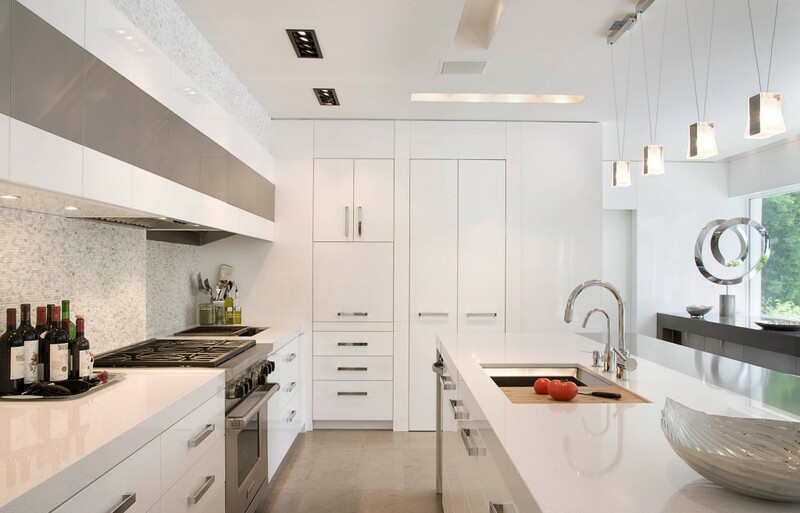 Multiple commercial light fixtures and recessed coves minimize utility lighting and divert attention to the sculptural pendants over the island. 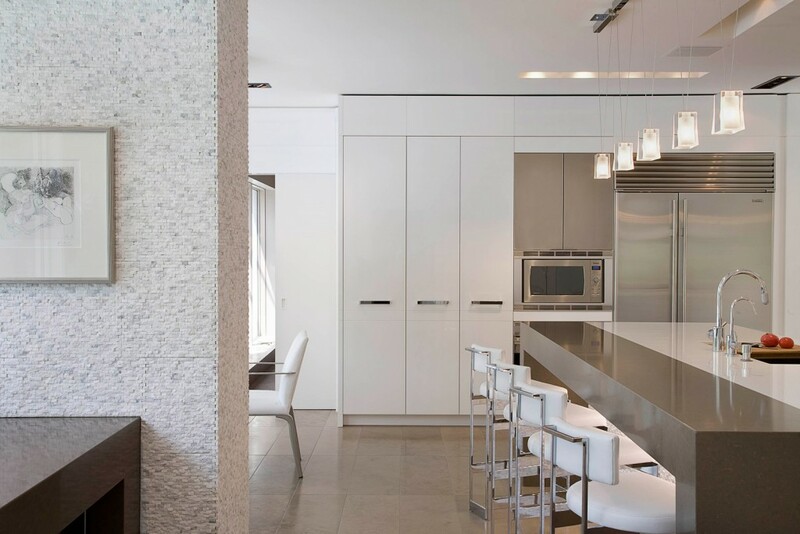 Textured white stone is repeated in back splash, bar front and accent walls to contrast the smooth finish of the high gloss lacquer. 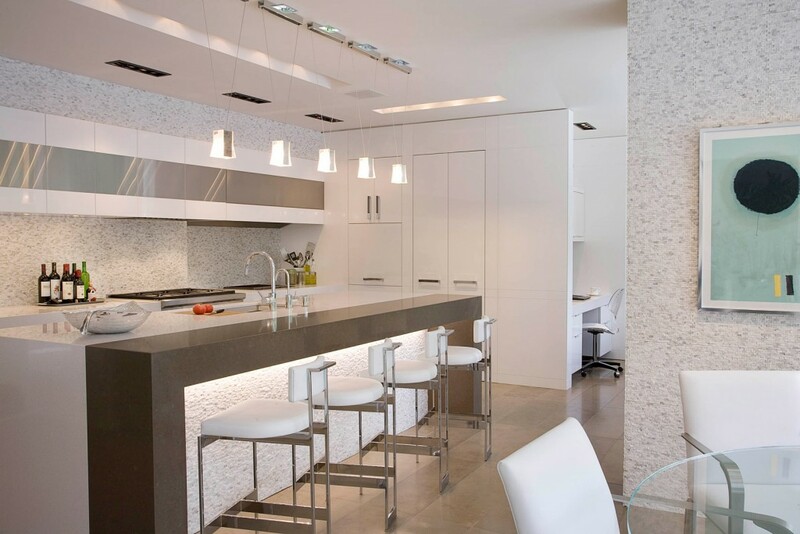 Sculptural dining table with high style leather chairs float below a twisted steel and mesh light fixture. 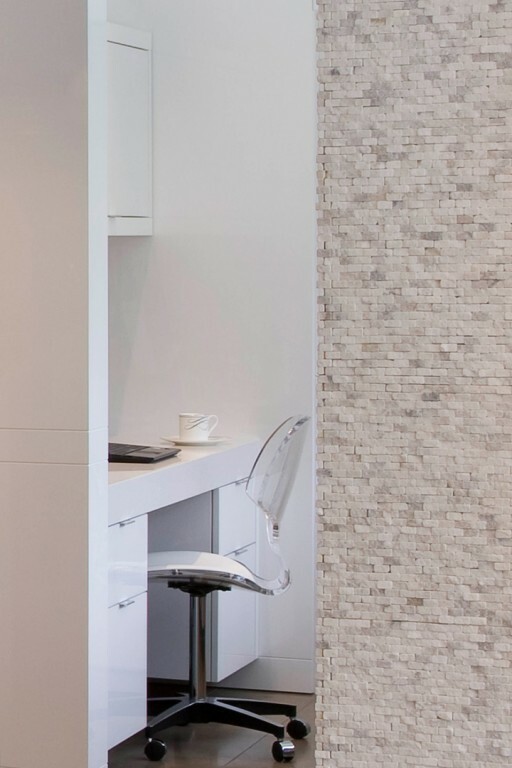 Acrylic chair adds sculptural element to hidden office niche.